Not everyone hails from England or Wales, of course, and even for those living there, their ancestors might well have been born and married elsewhere. Scotland, the Channel Isles and the Isle of Man all operated relatively independently, while Ireland can pose its own problems (even when it was part of the United Kingdom, from 1800 to the early 1920s). In many ways, Scotland is an ideal place for a genealogist to research, In many cases records are more complete than south of the border, and they're all in one place, at the General Register Office in Edinburgh. A real bonus is that they're all available online at Scotland's People . If a widow or widower, whether this is the second or third marriage (used in 1855 only). The number of children by former marriages, both living and dead (1855 only). The relationship of the parties, if they are related (1855-60). You can also glean much from Scottish parish registers, although the earliest surviving dates from 1553, and in more remote areas they weren't even kept until the early 19th century. But with a little luck, you can trace several generations of a family just through parish registers. One useful piece for tracing marriages is actually in the baptismal certificates, where the infant is referred to as either the "lawful" or "natural" child (meaning in or out of wedlock), and both parents are named. Scottish parish registers are commonly referred to as Old Parish Registers (OPRs). It might come as a surprise, but neither the Channel Isles (Jersey, Guernsey, Alderney and Sark) nor the Isle of Man has ever been part of the U.K. as far as civil registration is concerned. They have their own archives, register offices and libraries with record of marriages, birth and deaths (although their census returns are included with those of England and Wales. The Isle of Man records are in Douglas and date back to 1878. They began in 1860 in Guernsey, and two years later in Jersey. The biggest problem with finding Irish records is that so many simply haven't survived. 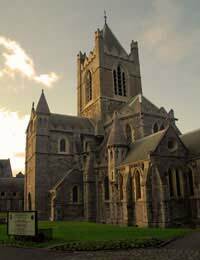 A Dublin fire in 1922 destroyed many records, including around half of the Church of Ireland's parish registers, making for a broken chain at best. The information on an Irish marriage certificate is largely identical to its English counterpart, although full registration didn't begin there until 1864. However, registration of non-Catholic marriages actually started in1845. A Marriage certificate pre-1957 consists of place and date of marriage, both spouses' name, age, marital condition, occupation and pre-marriage address and their fathers' names and occupations. Marriage certificates after 1957 consist of the date and place of marriage, spouses name, age, marital state, occupation and pre-marriage address, their parents' names and the spouses' intended place of residence. Records are held in the General Register Office for Ireland in Dublin. Unfortunately, they're not available online. From 1922 (when Ireland was officially divided), Northern Irish records are held by the General Records Office (Northern Ireland) in Belfast, and registers of marriage from 1922 are on computerised indexes there. If the people you seek were British citizens - or one was- and married overseas, then the marriage might have been registered with the British Consul or High Commission in the country concerned. It's worth checking the Miscellaneous Overseas Registers in the National Archives. For India, try the British Library in London, which has a large collection of material. Scotland is a bit of a dream for anyone looking into their family history. There’s plenty online and easy to access, while they’ve managed to hold on to records going back centuries. The nature of the country also means that, if you have a clan surname you should be able to trace things back beyond official written records. Ireland can be a tough place to find older records as so many were lost in that fire. If your ancestors are common folk then the chances are very good that you'll end up with quite a few broken links, and possibly a dead end. It's important to be prepared for that and try to come up with work arounds wherever that's possible - in many cases it just won't be, unfortunately.